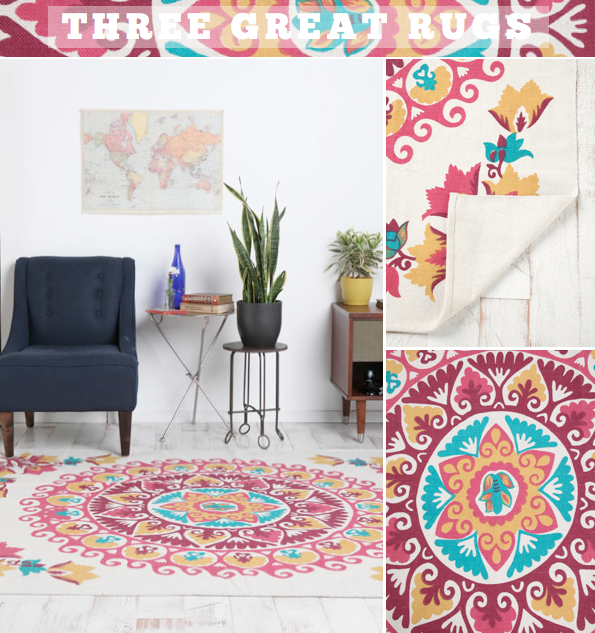 They say good things come in threes and it's certainly true with these rugs I spotted over on Urban Outfitters this morning. Hard to pick a fave (hey, all that colour and pattern makes Mr. Bazaar very happy!) but I'm going to go for Mandela (at the top). Which is your favourite? 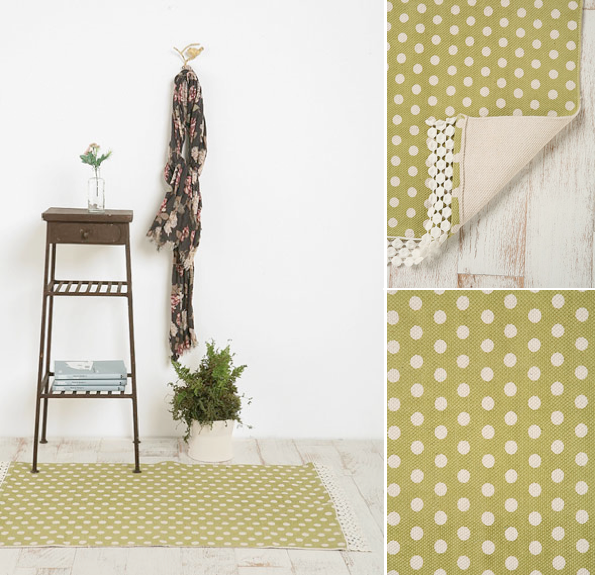 I'm loving the green and white polka dots! Way to go Urban! I really fell in love with Urban Outfitter rugs and bought a bunch of them, but now I really regret it. They're hard to clean, the ends and sides curl up, and there's no backing so they slip and slide and bunch up moments after straightening them (straightening them out has become a daily chore). Definitely factor in adding a non-slip backing to the price of them. I love the first one! The second one is my next runner up. Those are gorgeous! I can't choose between #1 and #2. That last one is pretty great! 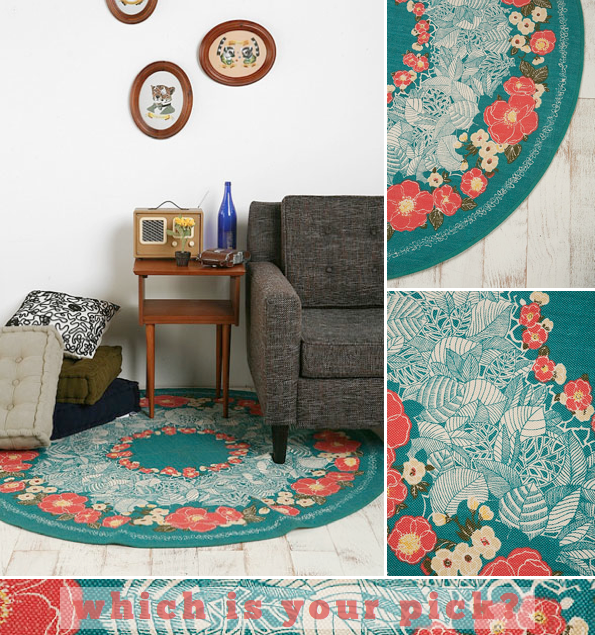 We're currently searching for a rug for our living room - not easy! @Idle Wife - Thanks for the heads up on that. @Pinecone camp - I just painted my living room in Cook's Blue by Farrow & Ball and I'm now searching for a rug to go with the new colour! The one at the top - Mandela, is def my fave! The last one! So unexpected seeing such a beautiful coloured floral rug paired with the more masculine looking furniture. Love it. I like the polka one ! Thanks for reminding me about urban outfitters i had totally forgotten about them! These rugs are super reasonable too! i like them all but i would have to go with the polka dots if i have to pick one! also ~ have you chosen a winner yet? i'm anxiously awaiting to hear the results haha!! The first and third--my oh my! that saturated color is beyond glorious. I love UO for providing such affordable options.